Enjoy this game that will put your strategies to test in a multiplayer battle against users from all over the world! Two teams will face each other, and only one will win the battle. Shoot, collect all kinds of weapons, dodge enemy bullets and try to survive. Only one will stand! War is coming, so choose your side! Fight in Germany, Russia, Japan or Northern Africa, keep an eye on your surroundings and hit your enemies before their bullets get you. Have fun! Discover this crazy FPS where you must complete all sorts of difficult missions. Once you clear the training, you can enter this ghost town and face terrorists in the ultimate battle! Put your accuracy to test with a long-range weapon, enjoy the graphics and survive! Discover this epic game where you must protect your town from its invaders! They sneaked in and took over control, so you must find a way into their armory. Get rid of them as fast as you can using your brain and stay safe! Grab your weapons and knock your enemies down! Get on the helicopter and be as accurate as possible to avoid being backfired! Good luck! Fight other users in this amazing 3D multiplayer action game! Recruit a combat squadron and obliterate your enemies before they attack you. Good luck! Discover this unique shooter that offers some challenging missions! 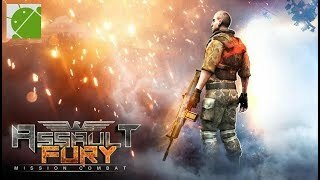 Enter the army and fight the terrorists that are trying to take over the national military bases. Face them directly and protect your people -- put your skills to test against these realistic graphics!